Continue the tradition of pinball collecting—get your copy of the newly published 9th Edition of The Pinball Price Guide today. 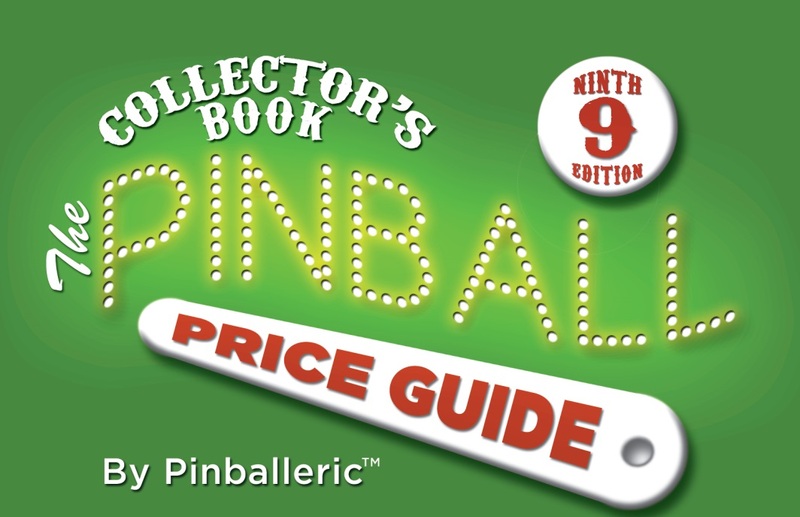 The Pinball Price Guide, Ninth Edition by Pinballeric™ is the ideal reference for anyone—collector, buyer, or seller—trying to determine the current value and fair price of a pinball machine. The Price Guide, which covers the price values of over 2000 collectible games produced for the U.S. market from 1931–2012, is unique in that it breaks down pricing into three classes (1-Best, 2-Good, 3-OK), determined by the condition of a game's backglass, playfield, and cabinet. In addition to pricing averages, the book lists the most collectible games for each era in the pinball age. In the “Collector’s Corner,” there are four new articles written by industry experts who discuss collecting specific types of games: Prewar (Flipperless), Bingo-style, Woodrails, and Electro-Mechanical. Besides tips on caring for and maintaining games and a list of resources of interest to pinball enthusiasts, the book provides a useful worksheet to help get organized and understand the actual costs of buying or selling a game—beyond the game itself. Whether you are an established or beginning collector, selling a game found in the basement, or looking for an addition to your home game room, The Pinball Price Guide by Pinballeric™ is an essential resource for buying or selling a pinball machine. ©pinballeric.com. All photographs are owned by pinballeric or licensed from original photographers, who retain their copyright. No copyright infringement or patent liability is assumed with respect to the use of the information contained herein. Pinballeric.com is not affiliated with any of the websites listed or responsible for the content and practices of these websites.